Last month another world-class chef joined Escoffier in the Grand Kitchen up in Heaven. Legendary Chef Michel Richard was 68 years old. 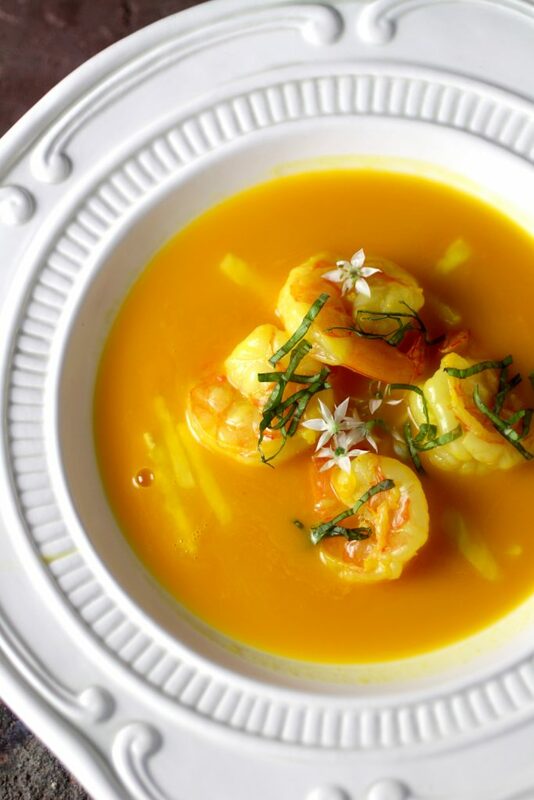 I was introduced to the Chef’s innovative style of cooking over lunch with my old colleagues at his restaurant Citrus in LA back in the late 1980s and have been an ardent fan ever since. After hearing of his sudden passing last month, I immediately pulled Happy In The Kitchen from my bookshelf and spent a good part of the day re-reading his recipes and perspectives. Before each recipe the Chef writes a paragraph or two about the dish – from where the inspiration came; what is important for the cook to note; or his keen observations on taste, texture, presentation, what-have-you. Yes, he is a most accomplished chef, but he is also a very effective teacher – employing humor and ingenuity as skillfully as he does the knife. 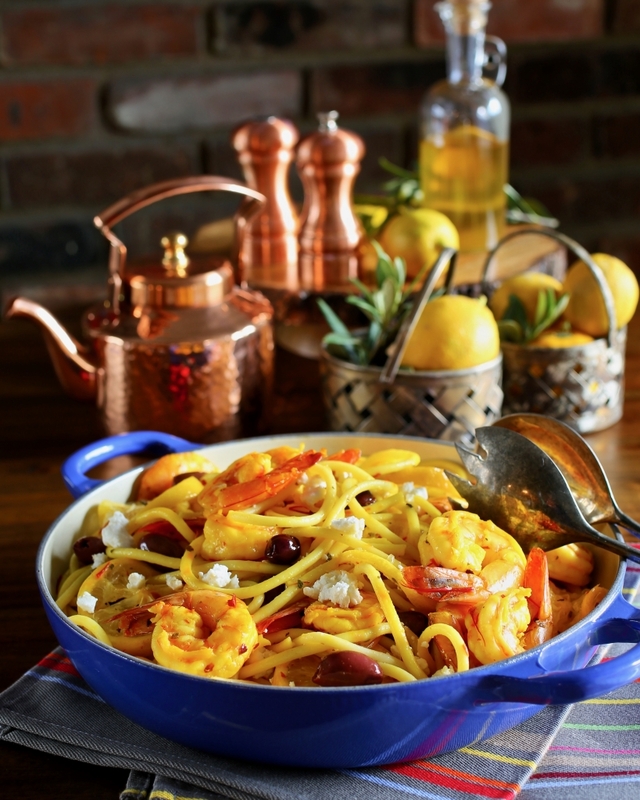 Whether it’s the charming presentation in mini cast iron skillets, or the fact that the time to prepare this “fisherman’s breakfast” originally from the Carolina Low Country is less than 15 minutes – Shrimp paired with Grits is a wonderful dish, both for the diner and the chef. Serve it as a savory breakfast like they do in the South, or on the brunch buffet, an appetizer, lunch, dinner, or even a midnight snack. 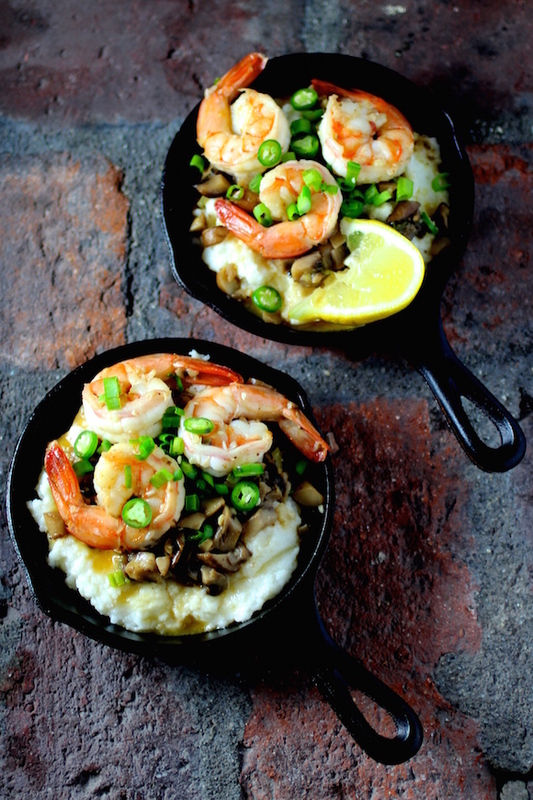 Creamy cheesy grits and large pink shrimp are highlighted by flavors of tangy lemon, piquant hot sauce and chiles, while scallions, garlic and mushrooms balance out the flavors in the not-too-heavy buttery sauce. Delightful – any time of day! Colorful baby carrots and my tree bursting with key limes became the source of inspiration for this sprightly salad. Carrots and limes have a curious affinity for one another. Key limes, called limones in Peru are used extensively in Peruvian cuisine. 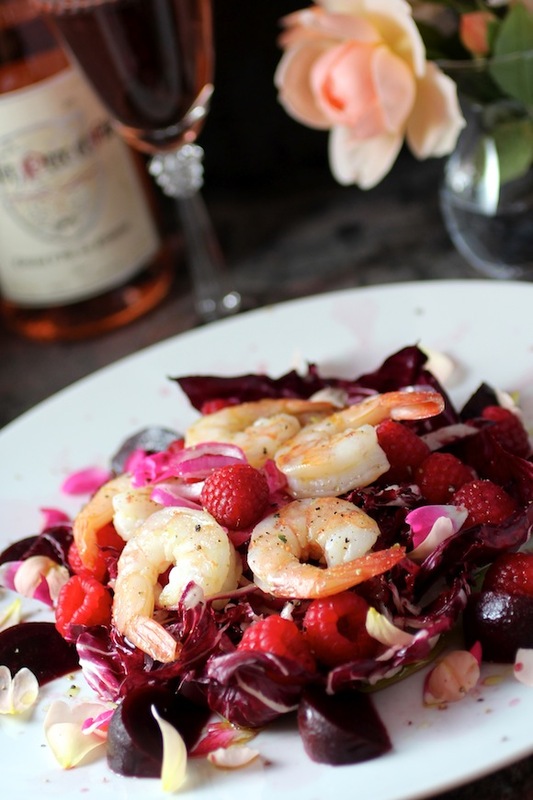 I mix the lime juice with ají amarillo paste and soy sauce to make the refreshing dressing. Ají amarillo, a yellow-orange Peruvian chile pepper is simultaneously spicy and fruity. 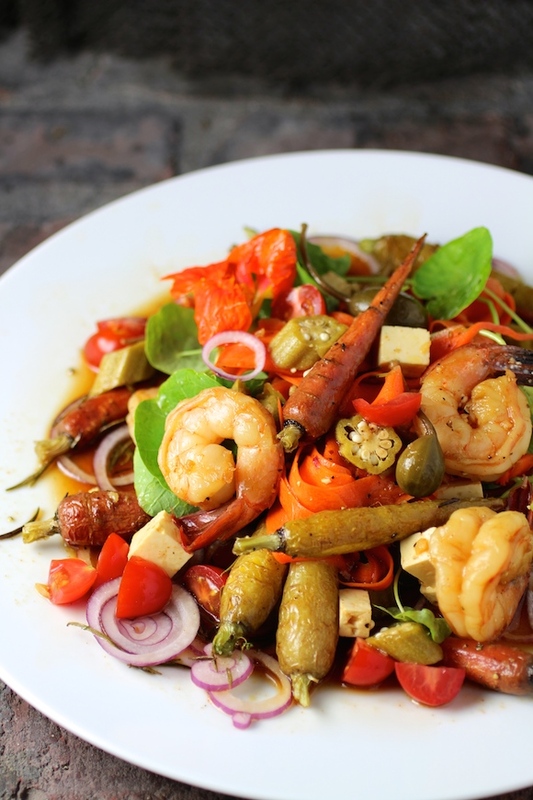 Just a couple teaspoons of the paste gives the dressing its zing and along with the shrimp and carrots paired with feta, okra, onion, and tomatoes – the result is a really zesty salad with piquant Peruvian flair. 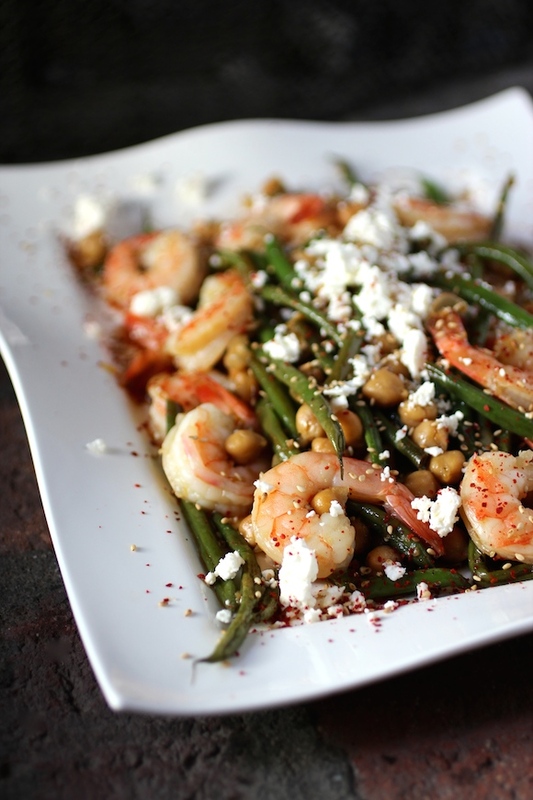 The classic Greek pairing of shrimp and feta, along with French haricots verts, Indian chickpeas, and a Korean soju & soy marinade result in a side dish most likely to attract attention. This global amalgamation of ingredients is finished with a sprinkling of toasted sesame seeds and gochugaru, a Korean red chile powder that is barely spicy, and somewhat sweet and smoky. 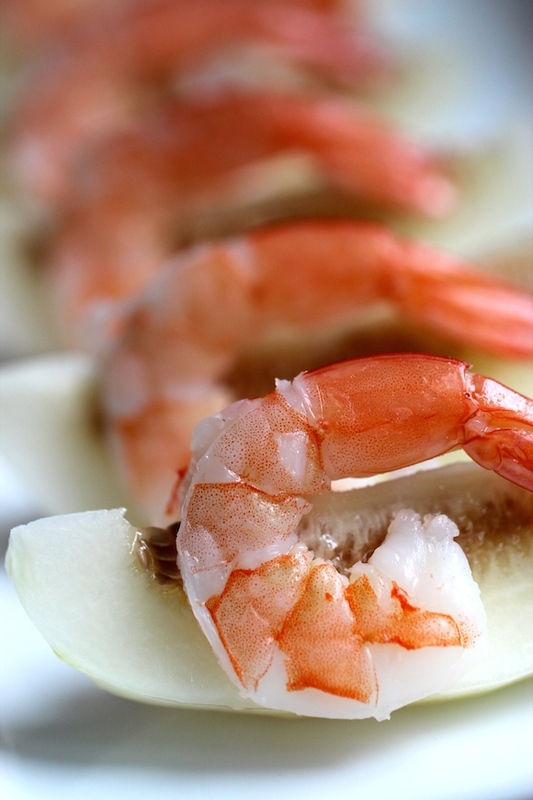 Served at room temperature – it’s a fusion dish that would make a terrific addition to any buffet, BBQ, or picnic. Korean melons are delightful. They have a melon-y taste similar to cantaloupe, but with cream-colored flesh and bit more crunch. The seeds are edible so I leave them intact, to enjoy the sweet pulp that surrounds them, and for added texture. Korean melon paired with shrimp, makes a simple yet refreshing appetizer or popular side dish to serve on a spring or summer buffet.